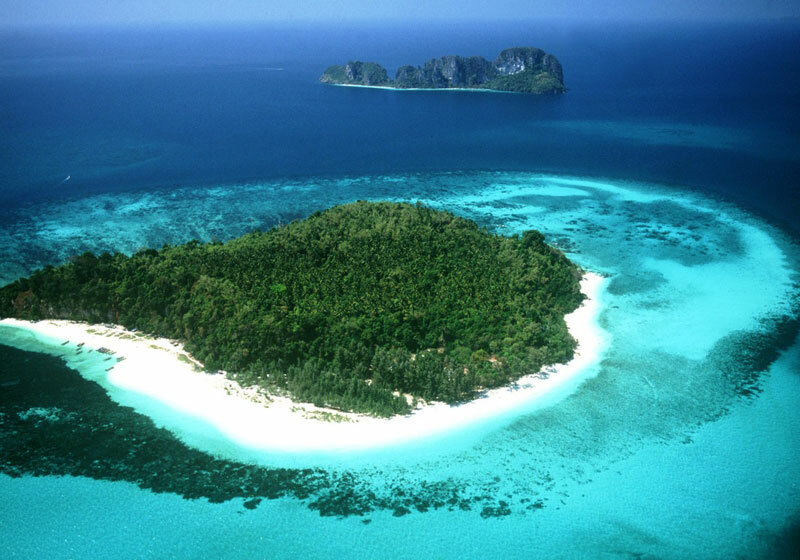 Bamboo Island (Koh Pai) near Phi Phi Island is just one of the many tourist destinations on Phi Phi Islands. While all the islands and attractions around the area have something special to offer, Bamboo Island has something that is extra special to share with tourists. The area is uninhabited, and therefore has the most pristine, unspoiled beaches known to man. This makes Bamboo Island Phi Phi Island is one of the most relaxing spots in Thailand. Short Description: Bamboo Island is a 13 km boat trip from Ton Sai pier and 5 km from the northern tip of Phi Phi Don Island. This small island was a lunch stop on a day cruise around Kho Phi Phi.